Complete your servingware collection with this stylish SALT & PEPPER 'Fromage' Set of 3 Stainless Steel Cheese Set. For a gorgeous cheese platter at home you need the right utensils for cutting and serving your fine cheeses. 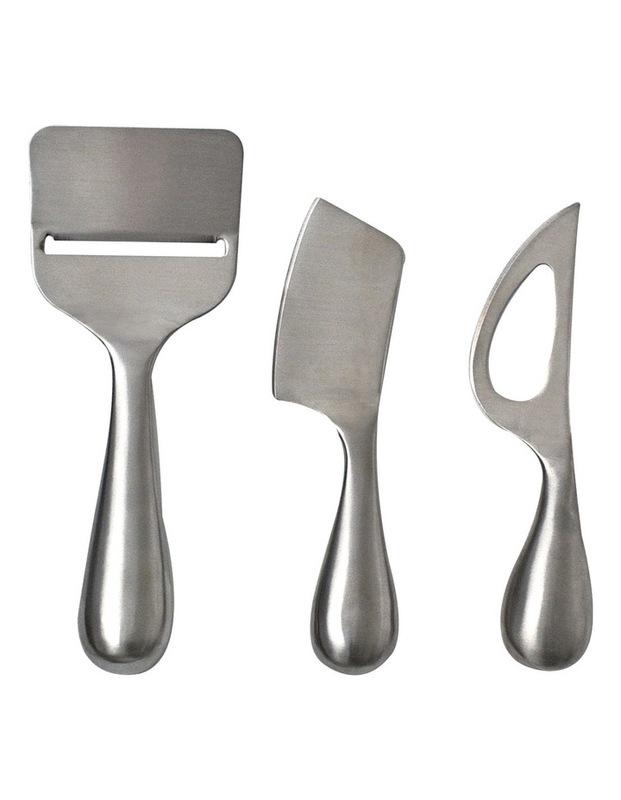 With this glorious set of three utensils serve many textures of cheese from brie to blue vein. Inspired by fashion and design trends from around the world, Salt & Pepper believe in creating accessories for the home that express your personality in the same way fashion accessories complement a total outfit. The end result, whether adding accessories to your home or outfit, is to create your own individual style with the ability to adapt and change with every mood or occasion. Salt & Pepper is Fashion For Your Home.